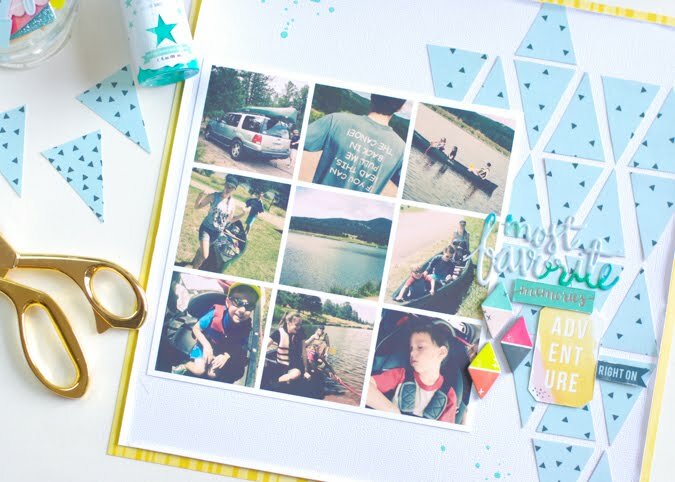 Scrapbook pages are alive and well over at Pink Paislee blog. I recently posted this triangle background page for Triangles Week on the Pink blog. It was a fun little crafty exercise in cutting and piecing paper. Seriously fun stuff for the serious paper nerd. What I really want to point out on this here page are the photos. 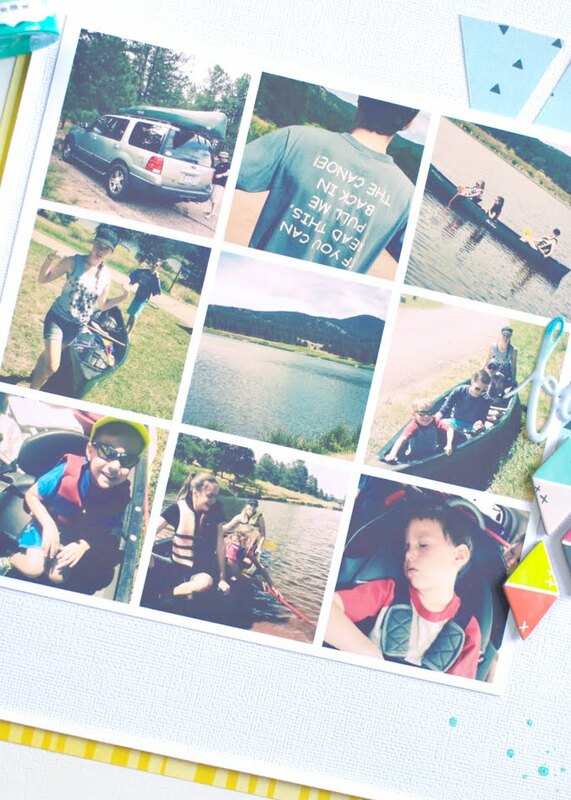 Multi-photo pages are still my favorite. Does not mean this is the only format I utilize. But it is for sure an important go to way for me and and telling a bigger story. These photos were all taken on my phone. Using RhonnaDesigns Collage app I created a collage frame. Sent it to my computer. And printed it at home. I made it so it fit perfectly on an 8 1/2 x 11 piece of photo paper. 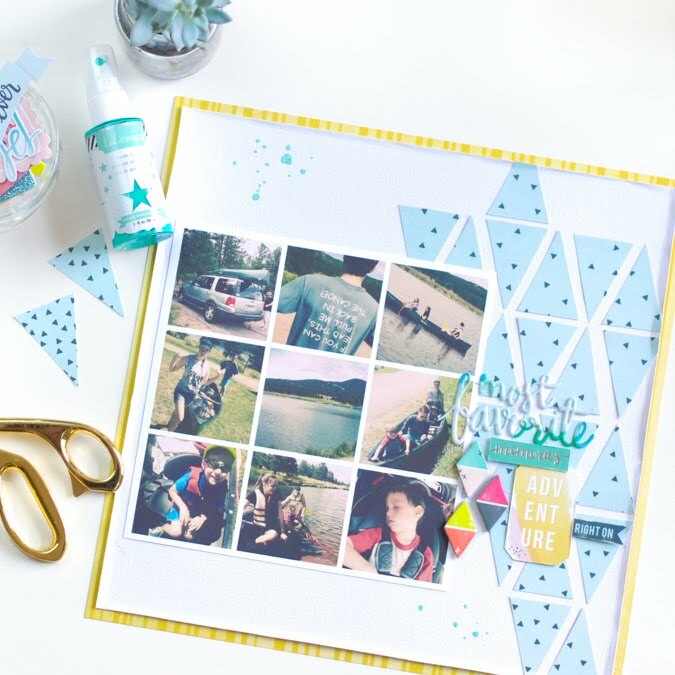 I find this a real simple way to get lots of photos on one page. And it was done in no time at all. Love that!!! It's so important, friends, get those photos off your phone. Print them. You don't even have to 'scrap' them...but get them printed and filed in a photo box even. But by all means, print out those memories. You will never regret.